While its possible to get cabinets that are cheaper and install them yourself, many homeowners every day make the decision to purchase custom kitchen cabinets for their home. Ever wonder why? Kitchen cabinets are much more than just shelves, drawers, and doors! They are not only the foundation of your kitchen but could also be thought of as your kitchen’s furniture. So would you like to furnish your home with items that represent your family’s personality? With furniture handcrafted and made to last for years? Your custom kitchen cabinets can be designed to your family’s exact specifications. That means they can truly be made to represent the personality and lifestyle of your family. Lifestyle is about how you’ll use your kitchen. Does your family need a place to gather in the kitchen to enjoy a quick meal without setting the dining room table? Do you entertain often? Is someone in your family a gourmet cook who could benefit from built in spice racks and other special touches? Why not customize your kitchen to suit your family’s needs. Personality is about who your family is! What type of environment makes your family and guests comfortable. Do you feel drawn to trendy and stylish? Enjoy open and minimalist spaces? Or would such a space feel sterile and austere to you? Maybe a traditional space full of warmth and wood would make you feel at home? Not all homes have the same amount of space allocated to their kitchen area, so one size does not fit all when it comes to kitchen cabinets. Stock cabinets are made in advance based on the average sizes of kitchen. But when you decide to get custom kitchen cabinets, you don’t have to settle for average! If you have a smaller kitchen, you’ll want to make the most use of that space. Having the ability to create custom cabinets means every square inch can be put to use for you. And not only your home can have size/fit limitations! If members of your family are taller or shorter than the average, you can have your counters at the exact height that is right for you when preparing food. If your family is short, having lots of high storage might not be as much benefit as those who have many taller members. You can select unique cabinet and drawer combinations that fit your cooking and baking style creating a more efficient kitchen. For example, your kitchen can incorporate a cutlery cabinet, spice cabinet, cookie sheet cabinet, trash drawer, pullout cutting boards, wine rack, or island cabinetry that opens from both sides. Custom kitchen cabinets are made by skilled cabinet makers by hand – not on assembly lines. Cabinet makers take pride in their work, using quality materials for a finished product that’s a work of art. 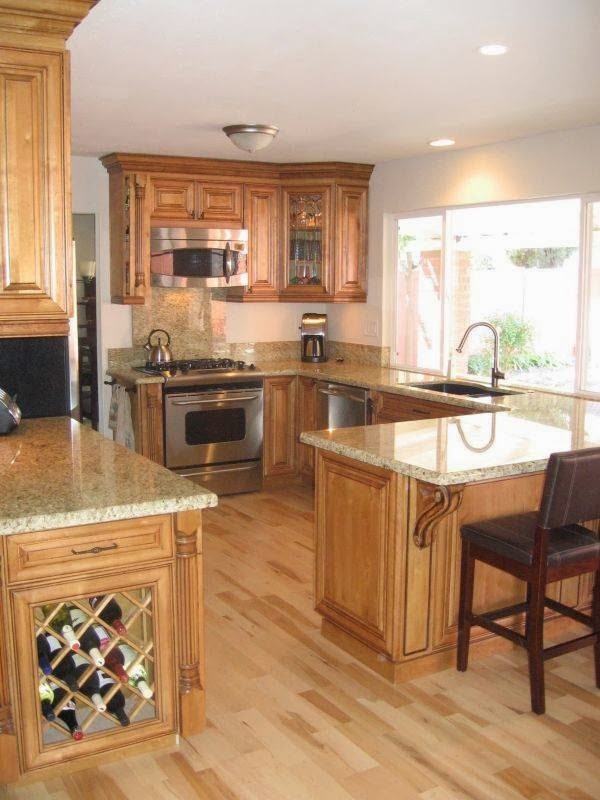 Custom kitchen cabinets mean your are purchasing quality construction that’s built to last. At Cabinet Wholesalers, our hand-crafted custom kitchen cabinets are created using only select hardwoods and veneers, functional state-of-the-art hardware, old world construction techniques, and our multi-step hand rubbed finishes bring beauty, warmth, and durability. For over 30 years, Cabinet Wholesalers has been providing families with quality custom kitchen cabinet remodels that meet all their needs. Request your free no-obligation 30-minute estimate today. Let us show you why custom kitchen cabinets are the best option for your family.